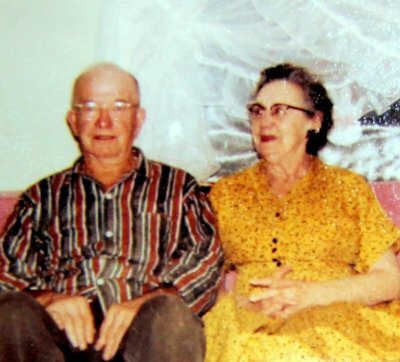 These are my grandparents on my father’s side, Robert and Ina McCallum. I didn’t know my Grandpa McCallum well. I remember him as gruff and senile and very intimidating but he was well into his nineties and I was only 7 years old when he passed so I’m pretty sure I didn’t get his best years. My older siblings and cousins have fond memories. My Grandma McCallum, however, I had the privilege of knowing for 16 precious years and she personified everything a grandmother should be. I never heard her say a harsh word about anyone, she made every one of us feel like we were the favorite grandchild, and she was the best baker on the planet. She also had a devilish sense of humor, loved reading the National Enquirer, and would send us $5 bills on our birthdays. She really was perfect and I could go on and on but it’s almost Thanksgiving and we have work to do. 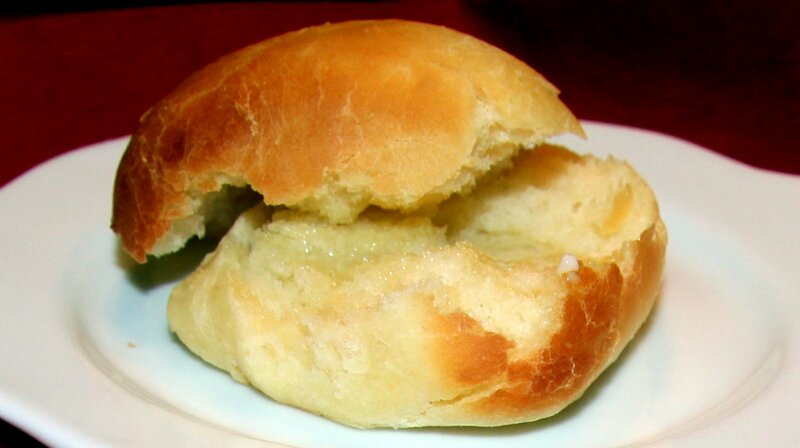 I can’t remember ever walking into my grandma’s kitchen when there wasn’t a pan of these rolls sitting on the counter. They are nothing short of legendary in our family and in Eugene, OR, where we first started serving them at the Treehouse restaurant in the late 1970’s. I started making them there when I was 14 and demand grew every year as dozens upon dozens of them would go out the door to grace customer’s holiday tables. My brothers still serve them at their restaurants in Eugene so the legacy lives on. She would be proud as punch! 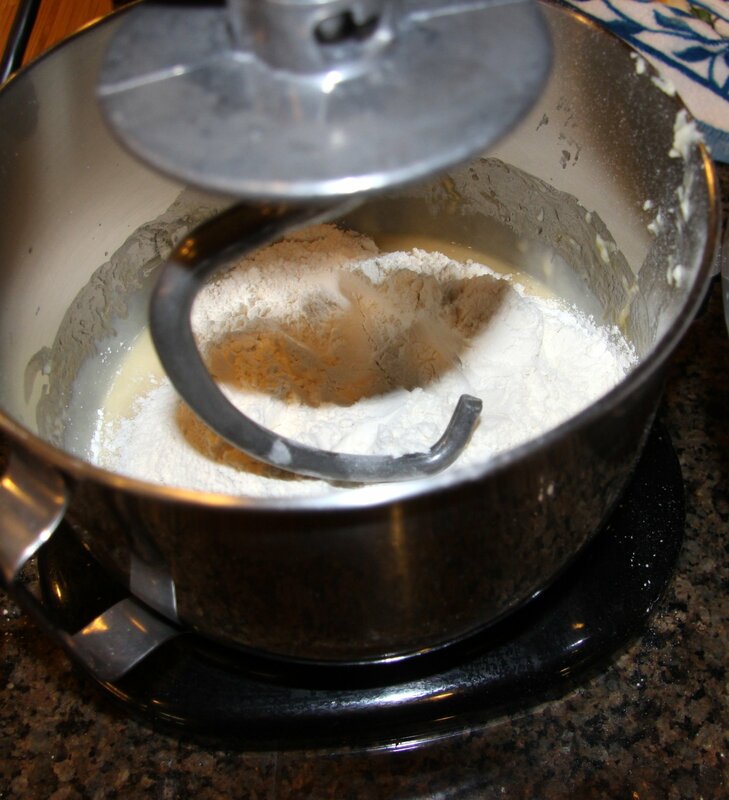 Gather your ingredients to make the sponge as well as a medium/large mixing bowl. 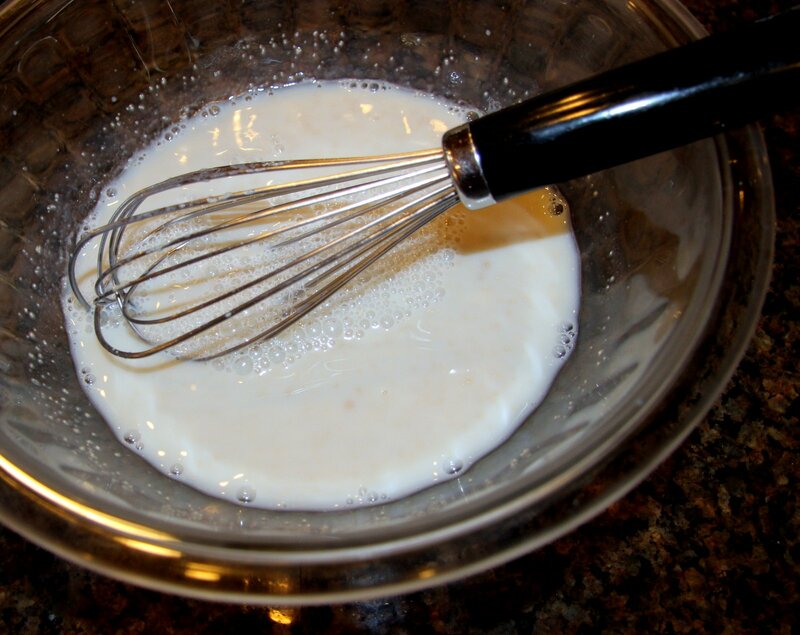 Warm the milk over the stove or in the microwave until warm, not hot, to the touch (think just above body temp, 100 – 110 degrees). This is very important because if it’s too cool, it won’t activate the yeast, but, if it’s too hot, it will kill the yeast. 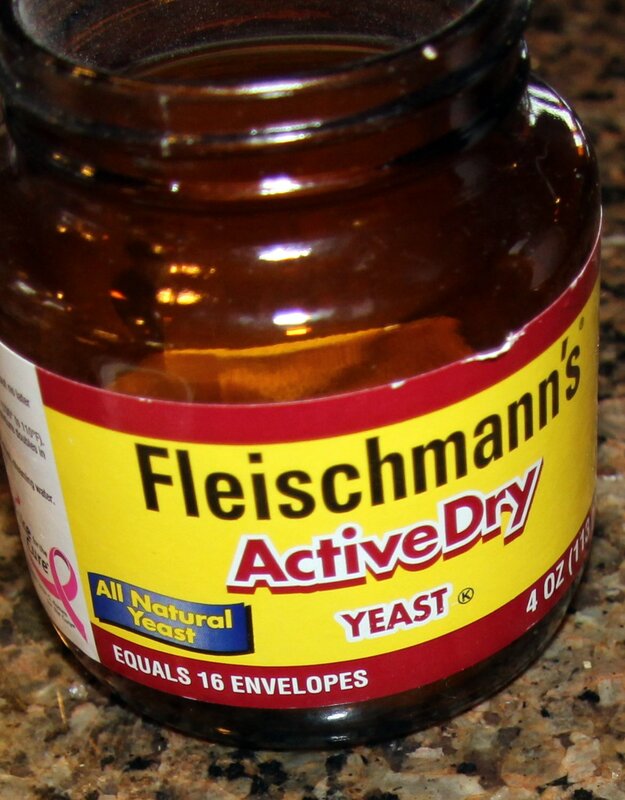 I buy yeast in a little jar like this because I find it’s easier to measure and lasts quite a while in the fridge but the packets work fine too. 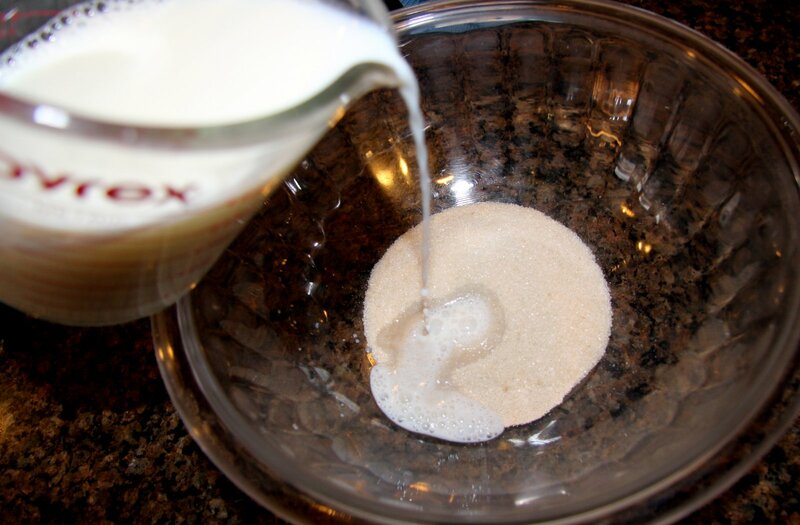 Place the yeast and sugar in the mixing bowl. 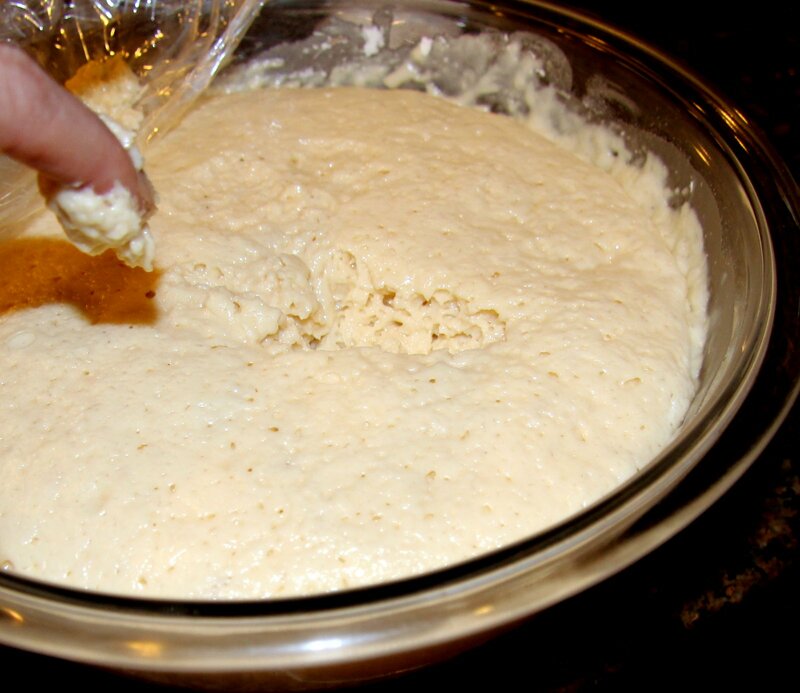 Gradually, mix in warmed milk, stir until the yeast and sugar begin to dissolve, just a couple minutes. 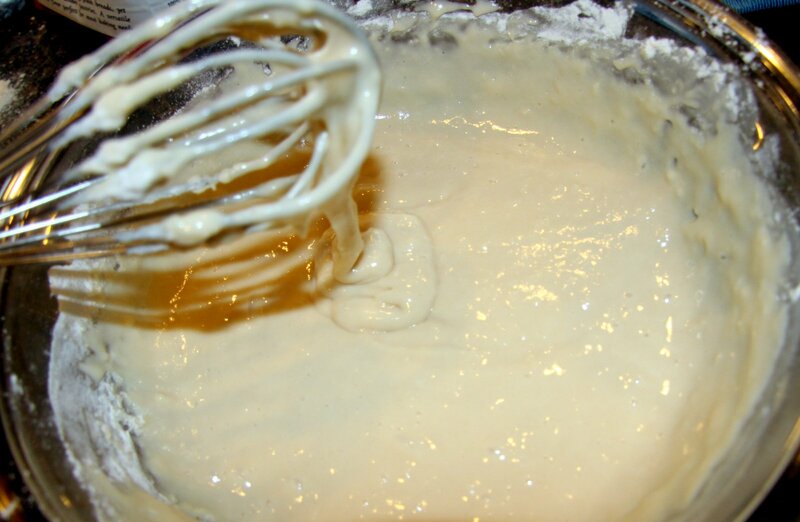 The consistency should be similar in texture to cake batter. 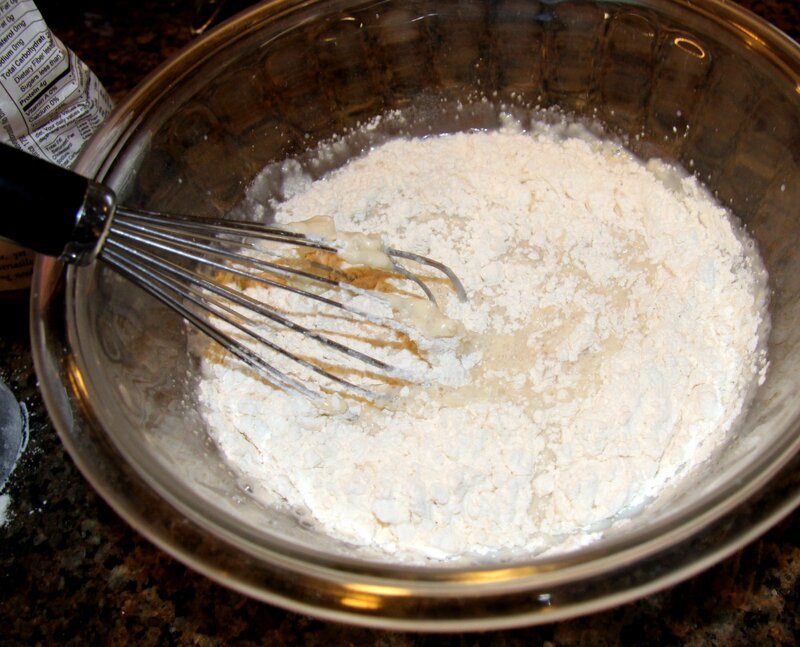 If it seems too thin, add a bit more flour. 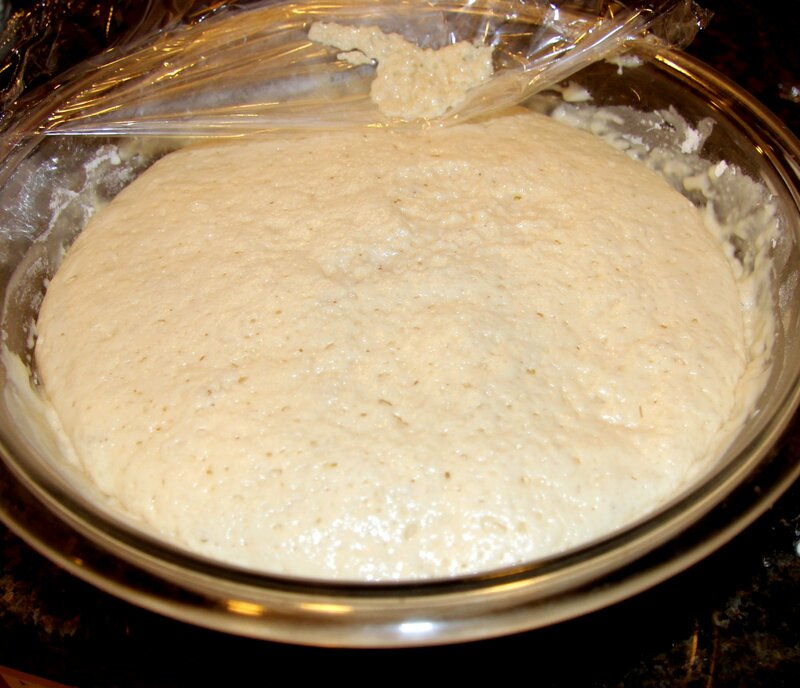 Cover tightly with plastic wrap and allow to sit in the warmest room of the house for 30 – 40 minutes. 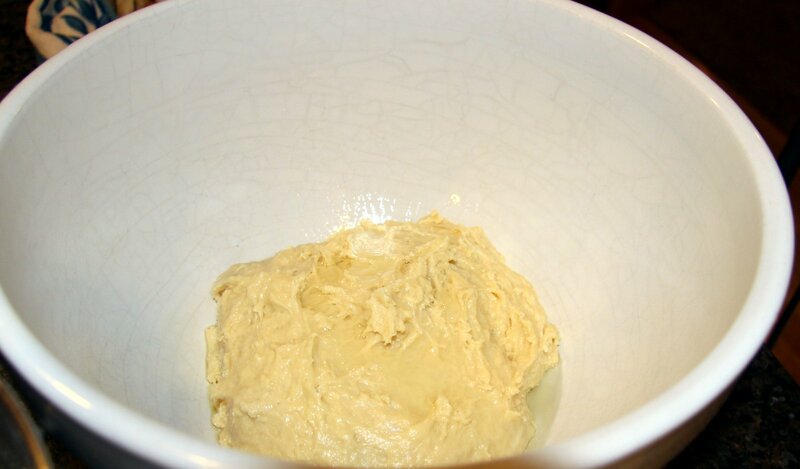 It should rise and become sponge-like. 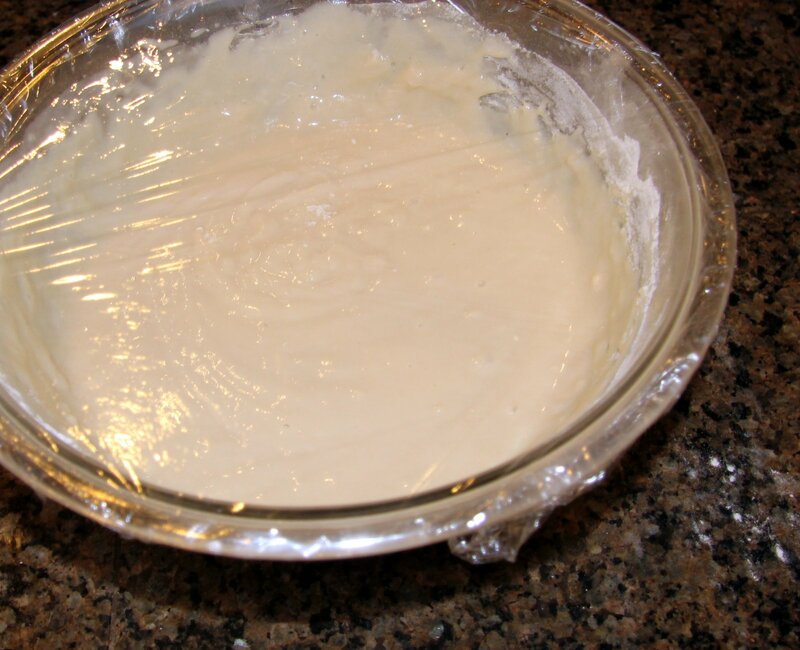 Transfer sponge to a large mixing bowl. 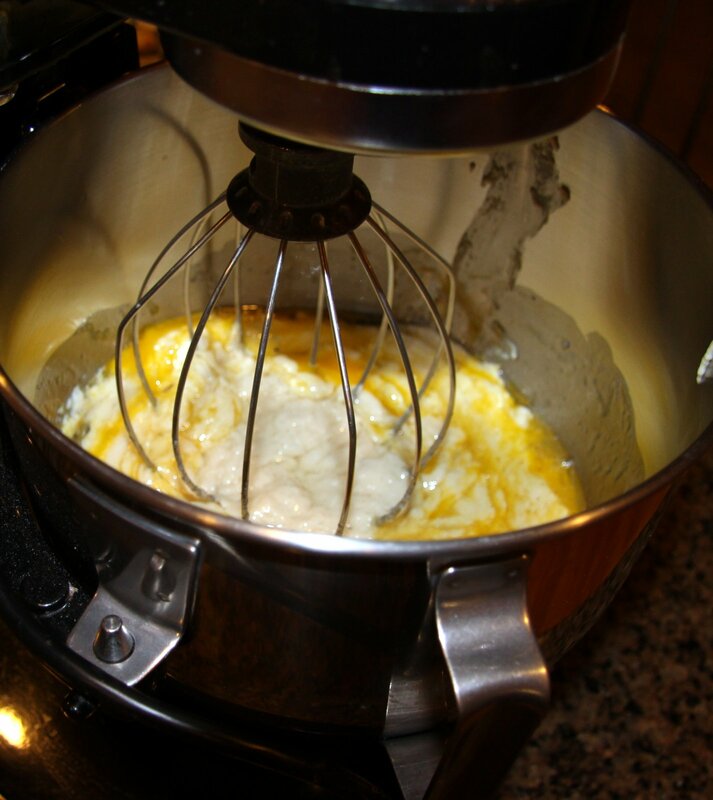 Mix in oil, eggs, and salt using the whisk attachment of a stand mixer or standard beaters if you don’t have one. 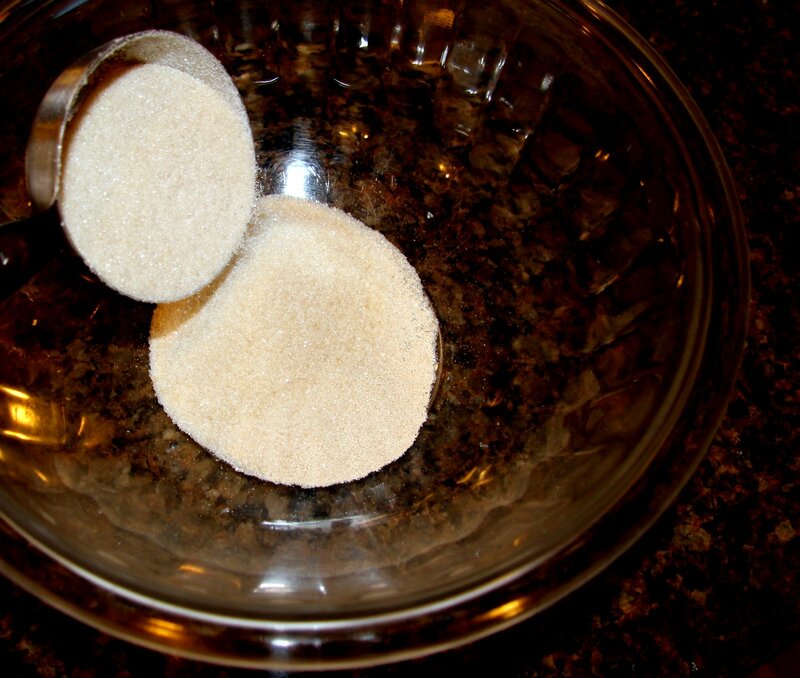 (Do not be tempted to add the salt with the yeast & sugar in the sponge as it can kill the yeast at that point). 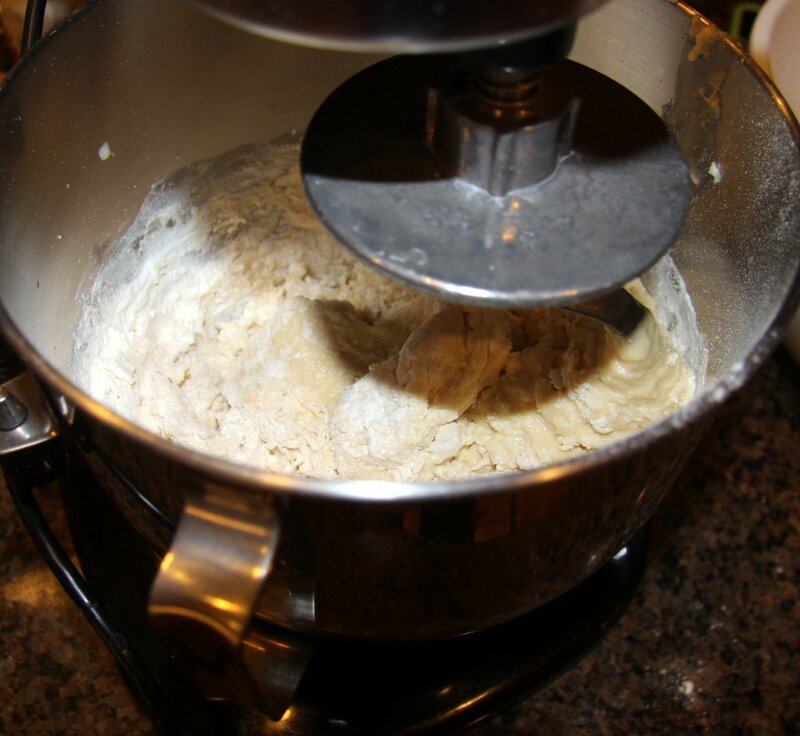 When the mixture is smooth, switch to the dough hook attachment or use the palms of your hands to knead in the flour. Start with 2 1/2 cups and add more as needed. 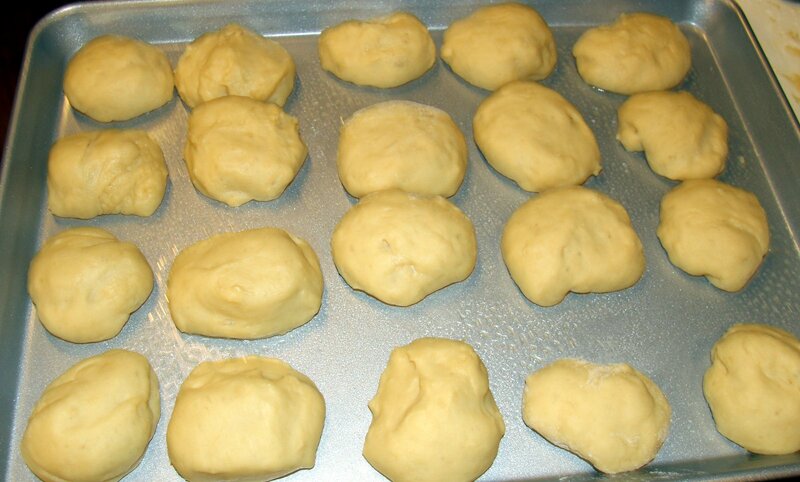 The dough should be sticky but have enough flour in it to form a ball. 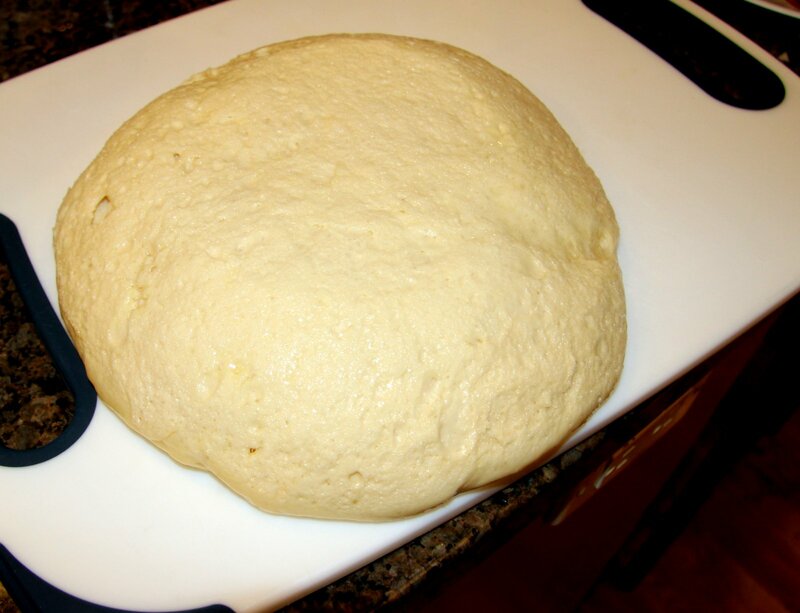 The stickier the dough, the softer the roll, but you have to be able to work with it. 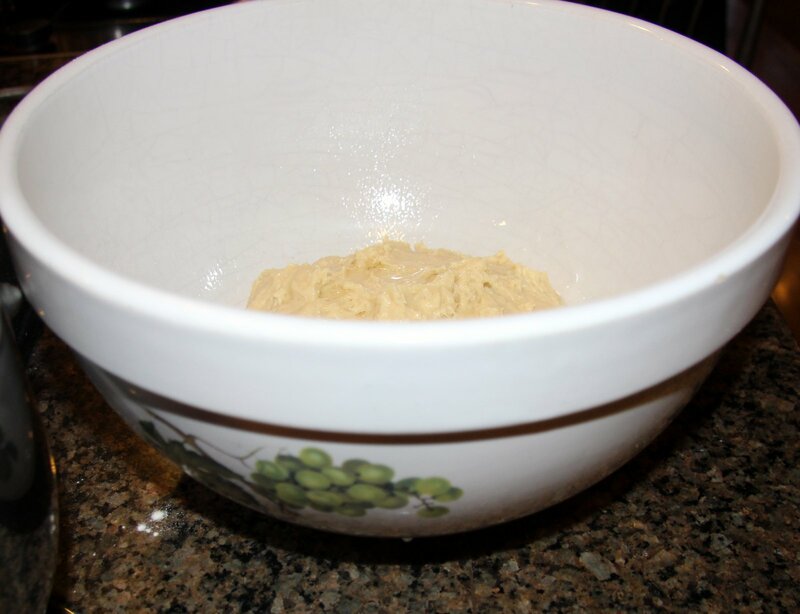 Coat an X-Large bowl with oil or cooking spray and transfer the ball of dough. 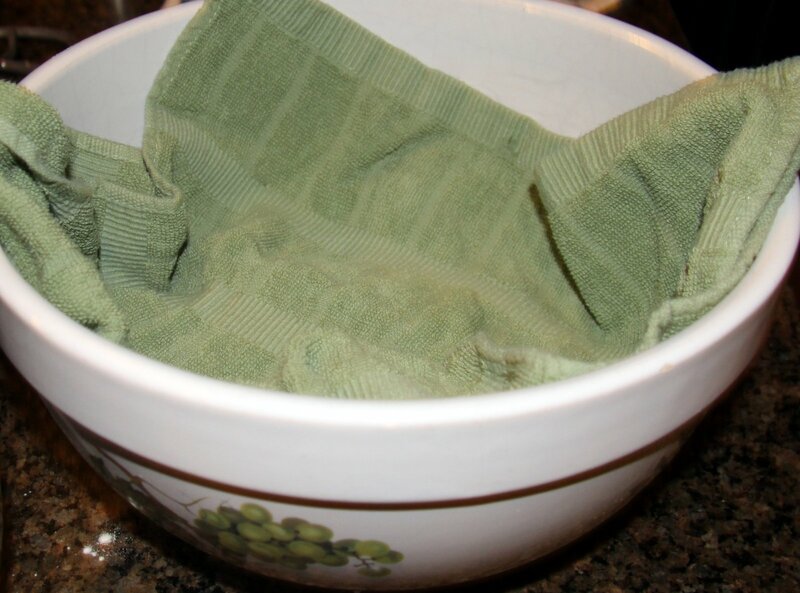 Top the dough with a little oil or melted butter then cover with a dishtowel. Turn on to a large cutting board or countertop, punch down and form a rectangle. 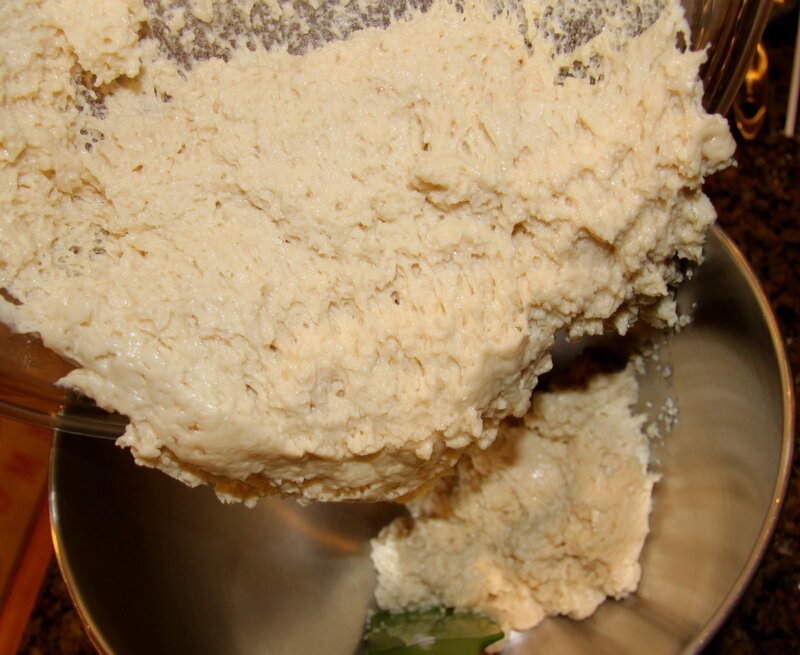 You may want to sprinkle some flour on the board depending on the stickiness of the dough. 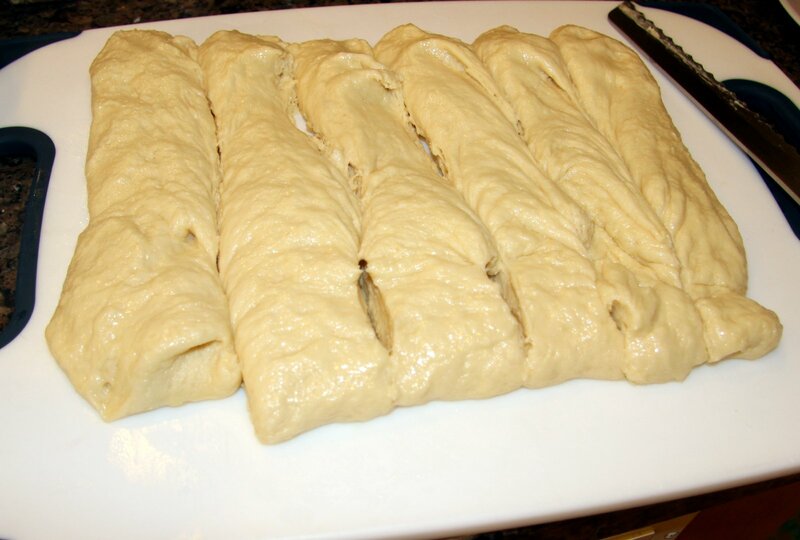 Then take the strips and cut to form into rolls (2 x 3 inch). 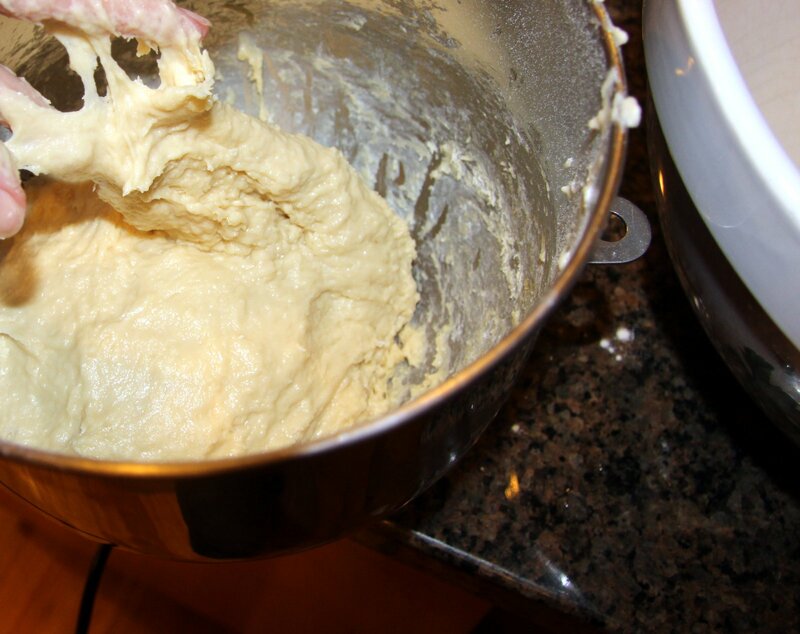 Handle the dough as gently as possible when forming the rolls, it helps to rub some flour on your hands. 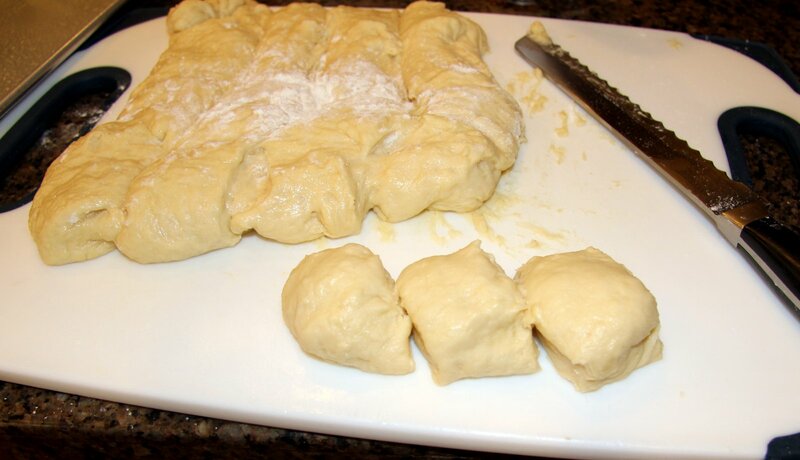 Coat a baking sheet with cooking spray and place the rolls on it, leaving a bit of space between them. 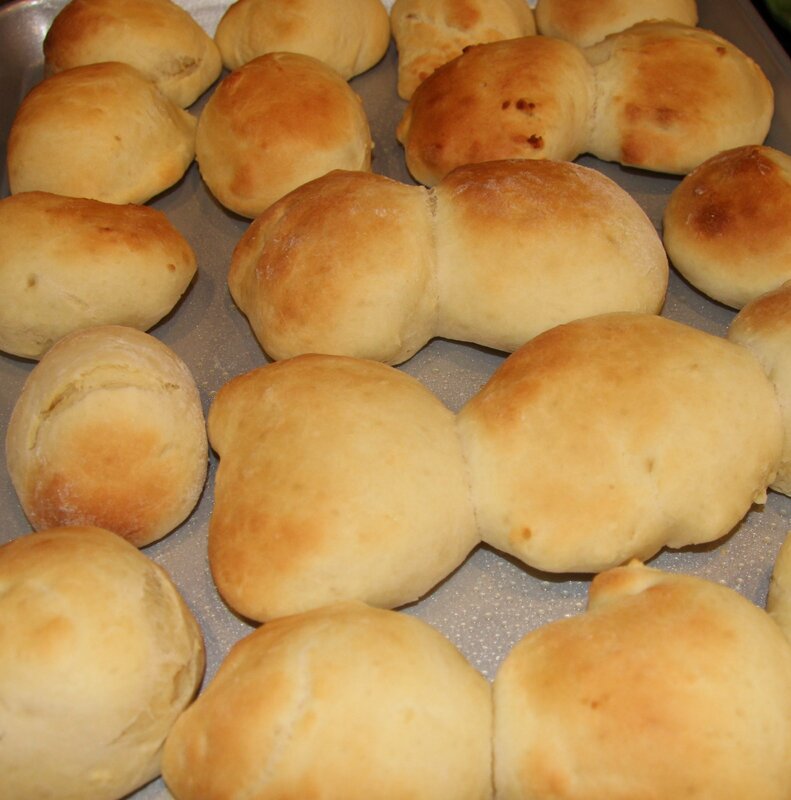 (At this point, you can put the pan in the fridge if you are not ready to bake the rolls then pull it out @ 45 minutes before baking to allow rising). Allow them to rise (again, the warmest area of the house, for us it’s the girl’s playroom) for 30 – 40 more minutes. Meanwhile, preheat oven to 350 degrees. 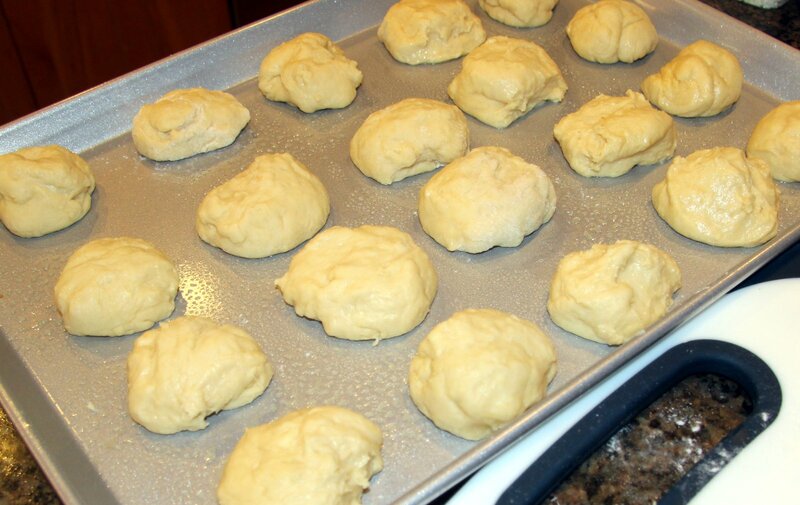 Bake in preheated oven for 15 – 20 minutes or until golden brown. Don’t worry if some of them stick together, it makes them more rustic and grandmother-ish. Happy Thanksgiving! Miss you Grandma :)! “If the only prayer you said in your whole life was, ‘thank you’, that would suffice”.